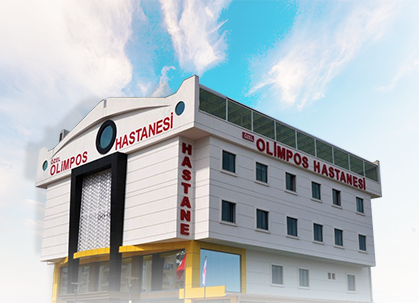 Hospital is located just in the heart of Konyaaltı residential area and very close to the beaches. The company, which owns the hospital is founded in 2006. 15 specialist physicians were formed an union to establish a private hospital and later on this group founded the biggest private surgical medical center of Antalya December of 2006 . Medical center quickly strengthened its team and provided health care services not only in Antalya but also in all over Mediterranean region of Turkey. Medical center entered into transformation process in 2010, and converted itself to a big hospital in a 2011. Hospital in currently serving in its new and big building. Hospital is the biggest hospital in its area and there is no public hospital around. Hospital has 67-bed capaticy. There are suit rooms, normal patient bad and intensive care units. Intensive care units and consist of 19 newborn intensive care units, 10 general intensive care units and 3 coronary intensive care units. In addition, there are patient observation beds. Hospital’s infrastructure is extremely strong snd there are 3 operating rooms suitable for all types of surgical operations. Building was planned and built as a hospital on the plot. Hospital building is situated in the center of Konyaaltı region. Backside of the building is natural spacious forestry, source of fresh air and extend all the way to the sea. Hospital has 5000 m2 indoor premises. Hospital own 2 ambulances and its emergency center is connected directly to the 112 governmental emergency contact center.